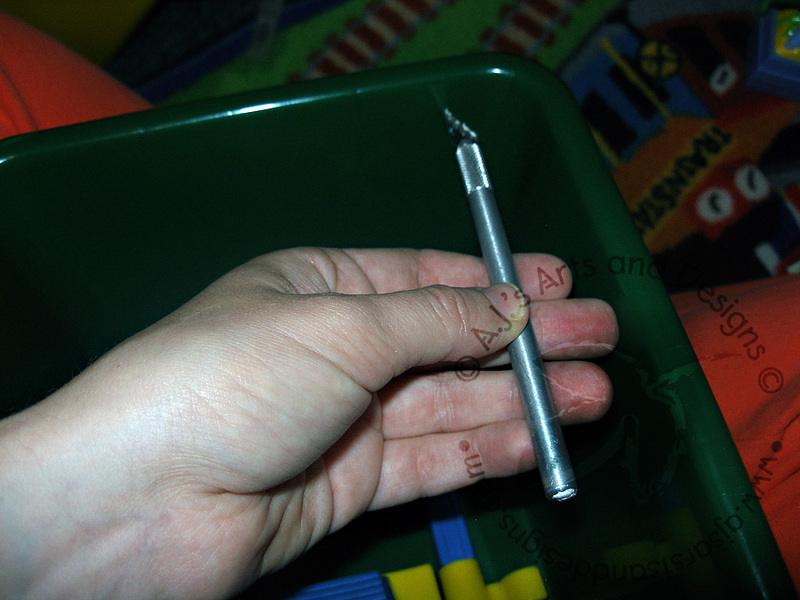 Toddler Tip Thursday… Zip Tie Toy Bins in Place | Who Are You Calling Crafty? I have a Toddler (aka: Booga) which means my day is consisted of picking up my toys and trying to decipher what mood he is in. Deciphering a toddler’s mood is something the NSA can’t crack. I mean one minute they are happy, the next minute they are screaming and throwing their toys around the room. 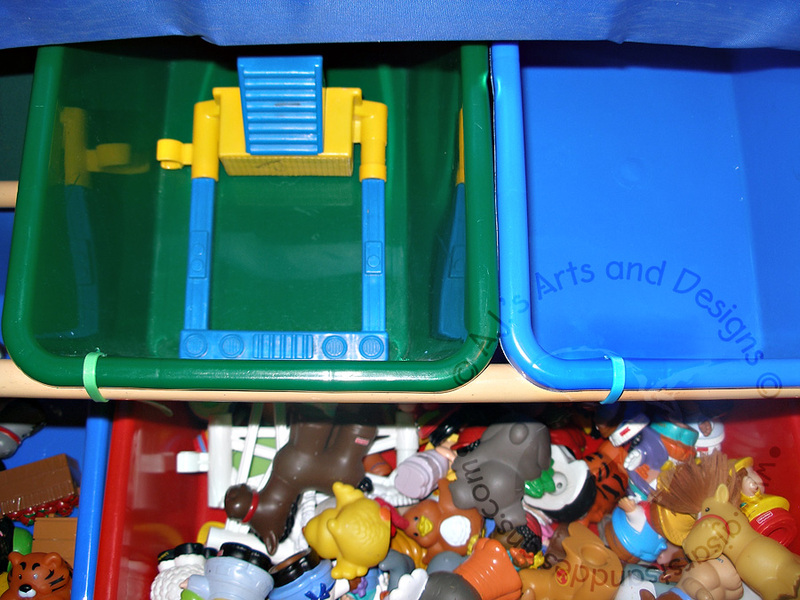 Below is a picture of the Toy Bin – Book Storage that we have in Booga’s Room. 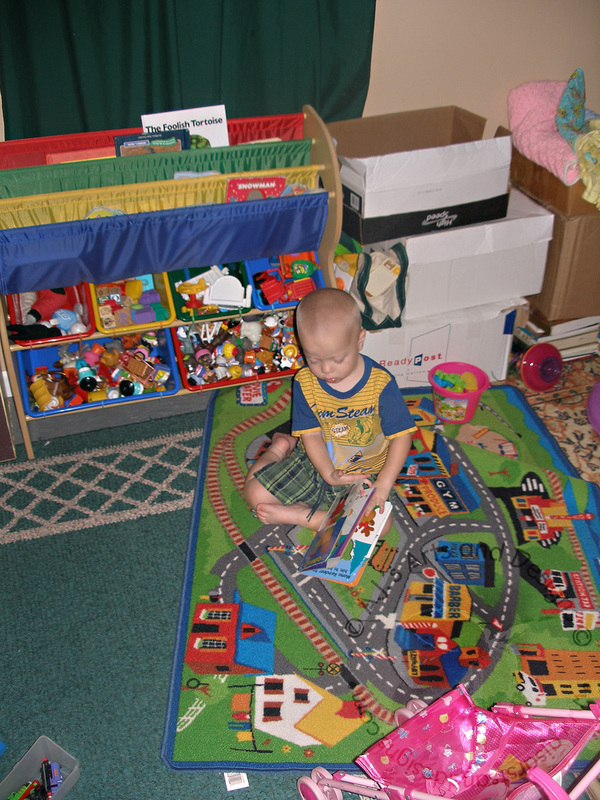 Very Cute holds a ton of toys and books, one problem the bins remove. 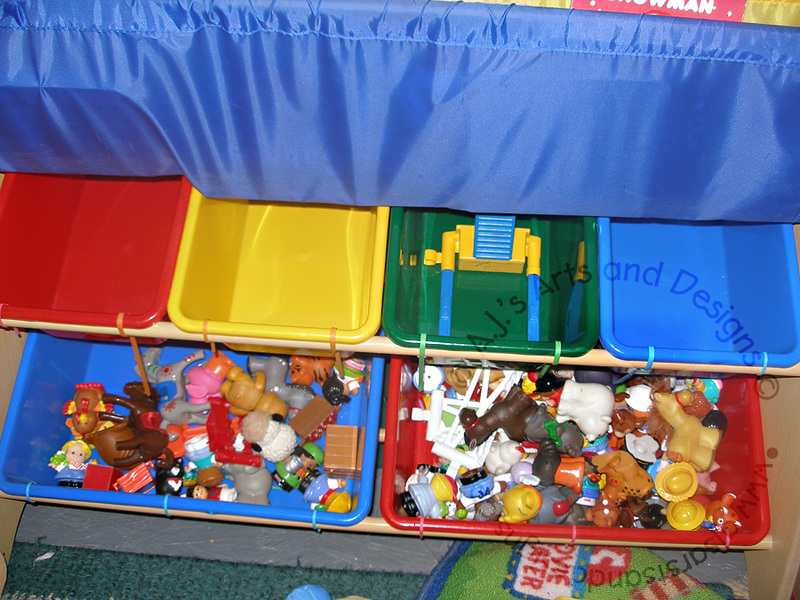 I can not tell you how many times I have walked into Booga’s Room and the bins are out toys every where. The bins are carried out to the living room flipped over and make the prefect step stool. I have always been terrified that the bin would collapse under his weight. This morning I had it the bins were out and I snapped. So I decided I was going to find away to make those bins stay put. Then it hit me Zip Ties. I had left over Zip Ties from the Clothes Organizer I made. I went and got an Exacto Knife and made two holes for the small bin (three holes for the large bins) and Zipped Tied the bins to the brace. The amount of joy I took in doing this simple act I can not even describe it to you. 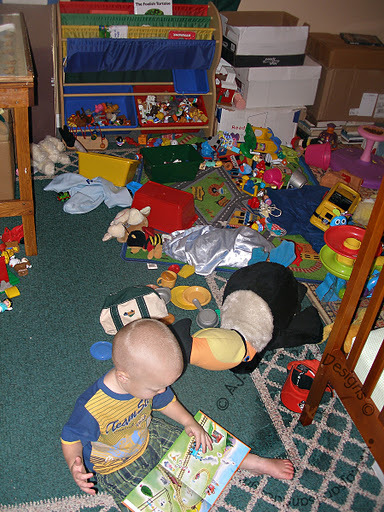 Booga is less than pleased with this recent development but it makes me happy that it is going to take a little more effort to make a mess in his room. Room picked up and the Booga wasn’t too pleased with this latest development.